VIRGINIA BEACH, VA -- "If you build it, they will come," or so the ghostly voice whispered to Kevin Costner's corn farming character in the movie "Field of Dreams." Costner had it easy, though -- all he had to do to fulfill the specter's prophecy was plow down some maize, grow a little grass, put up some bleachers, and the dream was reality. 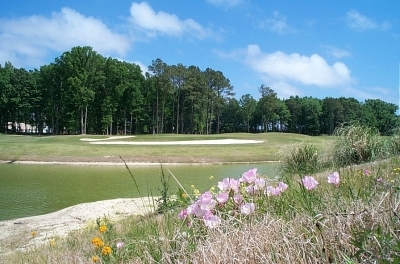 Not so for Heron Ridge Golf Club in Virginia Beach, Virginia. 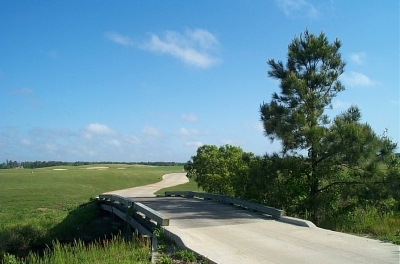 "We were faced with the prospect of converting a pretty bland landscape into a workable golf course," commented Heron Ridge's co-designer, Gene Bates, when I asked him what challenges he faced when they first started work on the property. "Half the property was used as farm land prior to our arrival, and the other half was a wonderful stand of hardwoods with some real nice variation and contour to the land. A real split personality." Similar to Costner, Bates and design partner Fred Couples were called out of the blue by a higher power (in Couples/Bates' case, a land developer) to turn a corn and soybean farm into a sports facility -- but the similarities end there. A pancake flat Iowa cornfield is perfect ground for a baseball diamond -- not so a Virginia golf course. "We had to move an awful lot of dirt to create some variation and contrast that a good golf course provides," added Bates. That's not to say the project looked impossible from the start -- it didn't. Bates explains: "Once we looked over the land, we saw several positive aspects. Sure, we had a lot of flat ground to try and move around, but we also had quite a bit of 'border' to the property, which provided some wetlands and woods to work into the design. We also noticed on what's now the back nine that there was some natural elevation changes, which is pretty rare in Virginia Beach. All in all, I think the finished product shows we were successful in our attempts to turn former farmland into an extremely playable but challenging layout." Heron Ridge's Head Golf Professional, Glen Pierce, agrees that the property showed some promise from the start. "The 'Ridge' part of our name comes from the fact we sit on top of Pungo (the name of the Indian tribe that once inhabited the land) Ridge -- which isn't exactly a mountain, but still provides some contrast in the land that's not usually found in this area. We've also got very sandy soil, so Couples/Bates was able to use a lot of the soil they dug out when constructing the lakes to build mounding and contour around the greens." Upon opening in April, 1999, you couldn't tell what the land once was. 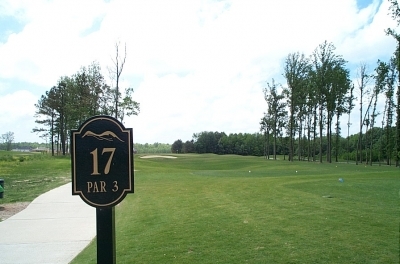 Heron Ridge joined Westfields Golf Club in Northern Virginia as another classic Couples/Bates design in the state, featuring generous tee landing areas, ample bunkering, and very puttable greens. Bates says "it's hard enough to get to the greens in the first place -- we definitely try to make the putting surfaces fairly tame when you actually get there." Bates also says it's a goal of the firm to make every course they design a real challenge from the tips. "From the 'Boom Boom' tees, it needs to be a test of golf that Fred would be pleased to bring his fellow tour players out to play. So we've got to make a course reasonable enough from the forward tees to encourage folks to return, but difficult enough from the extremes to challenge the best in the game." I think they've done it at Heron Ridge. The hazards are in plain view from all five sets of tees, and they're not taken out of play from the front group, either. Bates says the only difference between the forward and back sets in relation to hazards is they won't make the shorter hitters challenge forced carries. But everything else is fair game, and that's definitely true on this property. I will note that Heron Ridge Golf Club is part of a new housing development, but the houses are as set back from the course as any I've ever seen -- they don't come into play. The relative flatness of the acreage allows for them to be seen, but not heard from -- and that's nice. Turning to the course, you'll start off with a good warm up hole, the first being 403 yards from the back tees and slightly downhill. We had a brisk tail wind the day we played, making the hole a driver-pitching wedge. Pierce says the wind's part of the challenge on the course, because it's almost always blowing. "It'll be calm in other parts of the area and then you come out here and we always seem to have a breeze. It provides a great compliment to the links-style front nine." 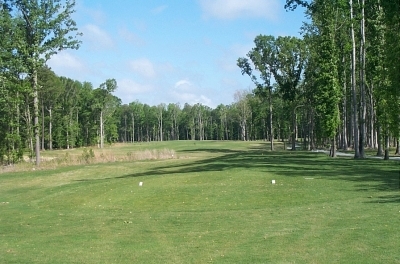 The second hole is a reachable par five that calls for a tee ball over a lake to a dogleg right fairway. A large oak tree guards the left side, as does a bunker left and long, so you'll need to be accurate and long in order to have a shot at the green in two. 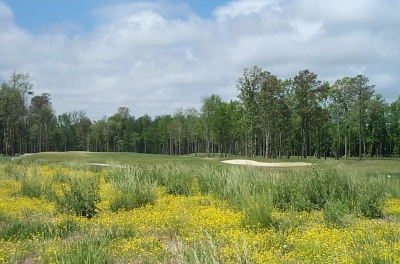 For the second shot, wetlands are to the right of the fairway and left of the green. Nice hole. The fifth is an aesthetically pleasing par three, 196 yards from the back tee. Wetlands and a stream lead to the front of the green and a sizeable bunker lies in back-- but the putting surface is a big target. Very fair. 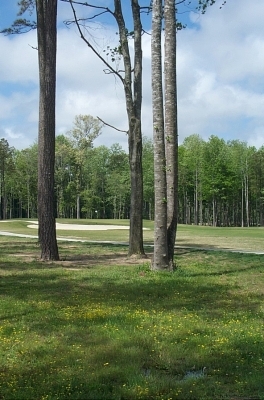 The ninth is another terrific par five, 554 from the 'Boom Boom' tees. 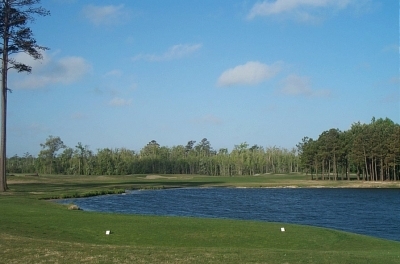 Pierce adds: "I think number nine is one of the best holes on the Tidewater. It's a true risk reward. If you have the long ball you can cut it down the left side and possibly get there in two, but if you lay-up to the right it's still not an easy three shot hole. The second shot is very challenging, and you'll have to think about the best path." I love it when the golf pro describes the holes -- makes my job easy! Holes eleven through fifteen leave the wide-open spaces and meander through the hardwoods Bates mentioned. Eleven is a monster par five at 585 yards, a dogleg left that will bring wetlands (on the left) into play on the tee and second shots. The more you challenge the wetlands, the more distance you'll save. Think about it. Twelve is a Couples/Bates signature -- Bates says they always try to include one or two potentially driveable par fours (#14 at Westfields). 312 yards from the tips, you'll even save some distance if you hit a high fade over some trees that guard the right side of the fairway. No doubt you'll still have to wave a big stick to get there, but it's fun to try. Thirteen's a reachable par five with a steep slope and water down the right side on the second shot. Fourteen and fifteen bring the aforementioned elevation changes into play. Fourteen's only 367 yards, but it's two uphill shots to a well bunkered green. Fifteen's a nice 182 yard downhill par three with water on the right and in back. A fun hole with the wind -- but again, the green's a big target. Bail out short left if necessary, but stay out of the huge bunker that guards that side pin-high. The final three holes return you to the open spaces. Eighteen's only 401 yards, but I'm guessing plays into the wind a good deal of the time and calls for an accurate second shot to an elevated, well bunkered green. All in all, a nice, varied round of golf, with nary a corn stalk in site. After playing at Heron Ridge, you'll definitely realize that it's very possible to turn a cornfield into a golfer's field of dreams. In season: $49 weekdays; $59 on weekends. Twilight after 2 p.m--$34 everyday.